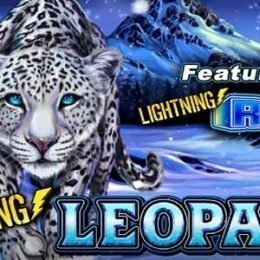 Get ready for the adventure of a lifetime with famed explorer John Hunter and discover the secrets in Da Vinci's Treasure slot machine by Pragmatic Play. John Hunter is on a mission to find The Secrets of Da Vinci’s Treasure in this 25-line video slot. Follow the map and go on quest where you can win up to 100x bet. Discover clues in Da Vinci’s art for instant wins. In the free spins round, multipliers pile up, increasing by 1x at every free spin, up to 60x. 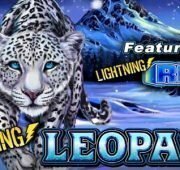 Get ready for the adventure of a lifetime with famed explorer John Hunter and discover the secrets in Da Vinci’s Treasure slot machine by Pragmatic Play. 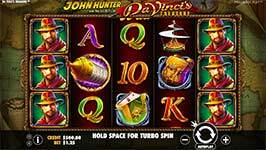 John Hunter is on a mission to find The Secrets of Da Vinci’s Treasure in this 25-line video slot. Follow the map and go on quest where you can win up to 100x bet. Discover clues in Da Vinci’s art for instant wins. In the free spins round, multipliers pile up, increasing by 1x at every free spin, up to 60x. Da Vinci Wild Symbol – Da Vinci is the wild symbol and substitutes for all symbols in the game except the bonus. Wilds can appear on reels 2, 3, 4 and 5. Bonus Codex Symbol – The codex symbol is the bonus trigger and can appear on reels 2, 3 and 4. 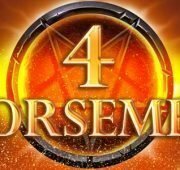 Hit three bonus symbols on reels 2, 3 and 4 to trigger 1 of 3 bonus games. 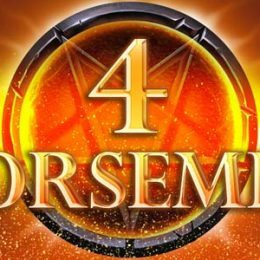 Map Quest – IN the Map Quest Bonus game there are 23 points and a wheel of fortune. Each point represents a potential money award. 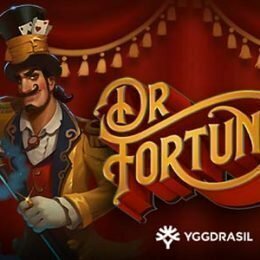 Spin the wheel of fortune to advance on the map to different points. There are 6 slices on the wheel of fortune with each number advancing you as many spaces on the map. In the end you’ll be rewarded with a cash prize. 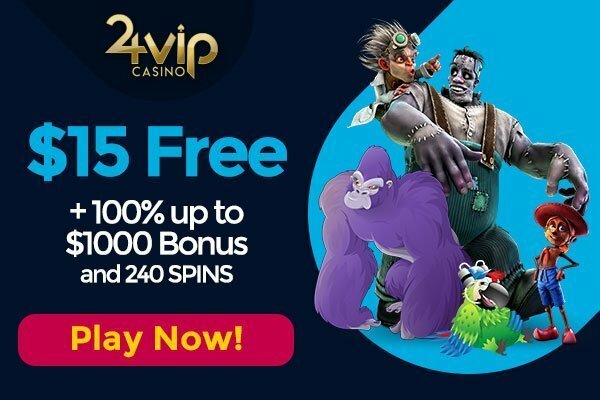 Progressive Multiplier Free Spins – At the beginning of this round you’ll be awarded with 12 free spins with a x1 multiplier. After each spin the multiplier increases by 1x. 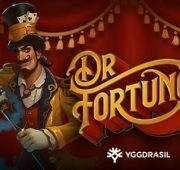 You can re-trigger free spins to award up to 60 in a row! 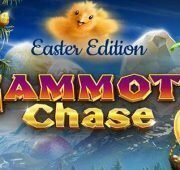 Prize Picker – In this bonus game you pick 1 of 3 items to reveal and instant prize reward.